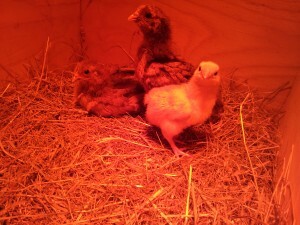 To celebrate my 40th birthday, I wanted to go some place warm & different. We found it! 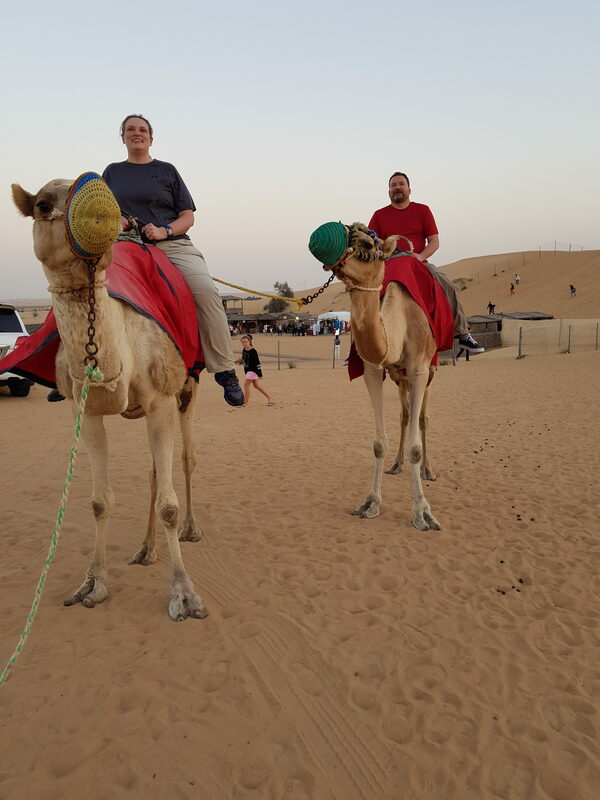 The United Arab Emirates. 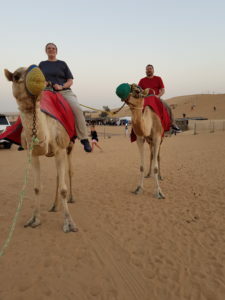 We had an amazing time in a land in some ways vastly different than any I’ve been to and in others the same as anywhere and everywhere else in the world. Follow the link to find out more! While on holiday in Rome, I broke my right foot. Read all about it and the healing process here. 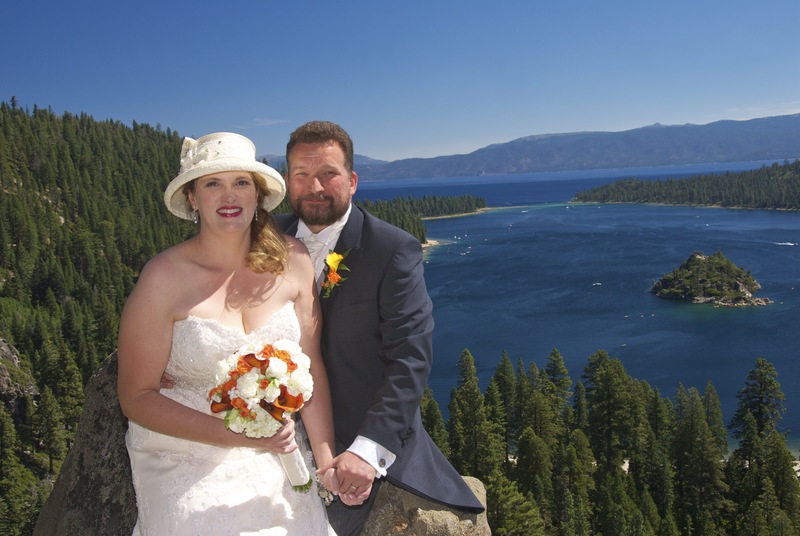 On Thursday 13 August 2015 we exchanged vows overlooking Emerald Bay at Lake Tahoe in California. To celebrate, we had three parties. Here, you can find more information about the parties. If you have any problems or questions, please contact us. 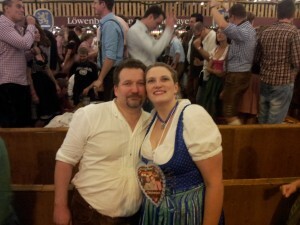 I’ve once again posted photos from Oktoberfest. 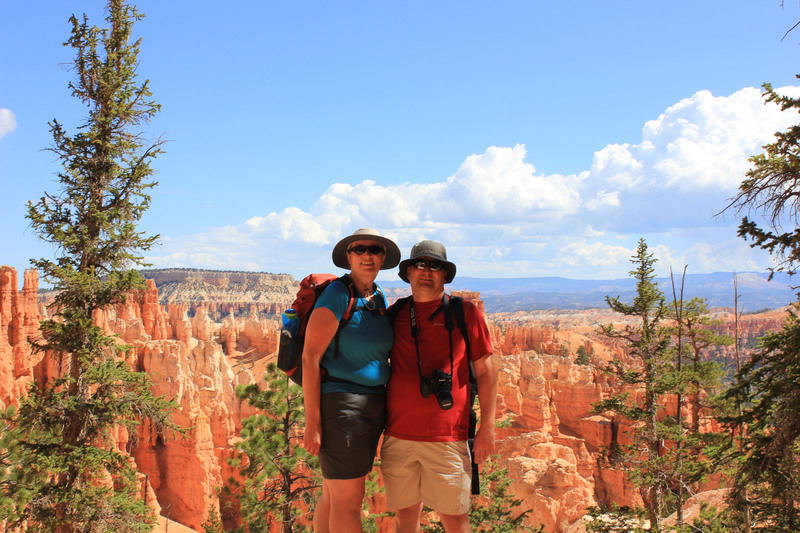 We had a wonderful time traveling and seeing friends and family in the USA. It’s hard to believe it’s over. The time went by so fast. I’ll (slowly) be posting photos from our trip, so please continue to check back as more will be loaded in the coming weeks. Once again we enjoyed Oktoberfest this year. 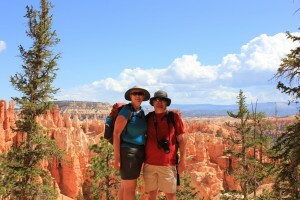 This year’s fest was made even more special by several visitors from the USA. For the photos from Oktoberfest, click on the Oktoberfest link. Photos from the rest of the visit can be found under the Munich link. 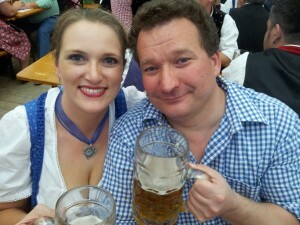 Steve & Peggy - Prost! 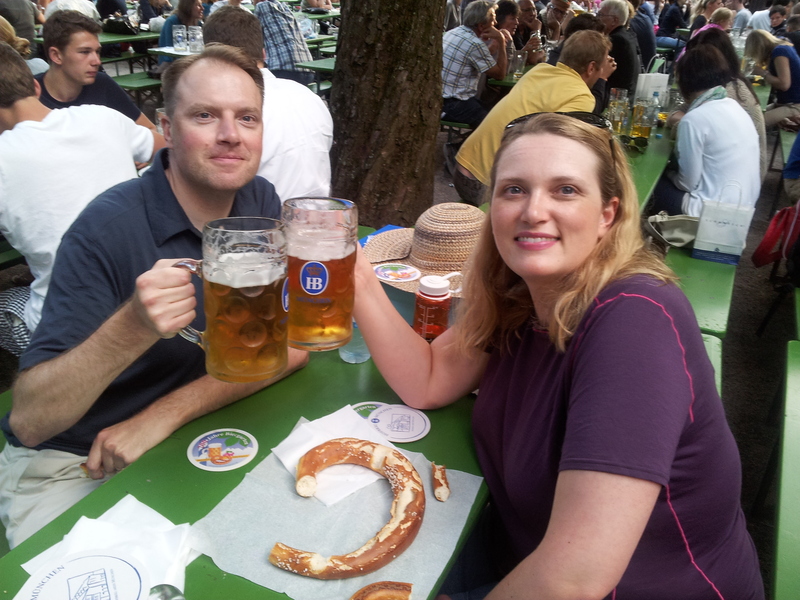 We went to Biergartens (see photo above), shopping and both of us took part in the Munich Stadtlauf (city run). I’ve posted a couple of photos from the Stadtlauf on the Munich page. In celebration of Phil’s big birthday (year), we took a trip to a country he had last visited for his 30th, Iceland. We both had a marvelous time on this dream vacation. 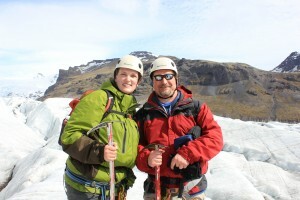 I’ve added some photos to the Iceland page (see link on right). I still have more to add, though, so check back again. Phil and I spent Easter this year with his family in England. I didn’t take many photos, but a selection of the ones I took will be posted shortly. Phil is half Irish. I’m one of the few Americans who does not claim any Irish heritage (and am proud of it), but I was Irish for a day. 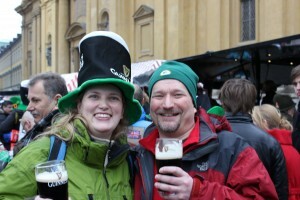 Sunday March 11, 2012 was Munich’s St. Patrick’s Day Parade. Click on the St. Patrick’s Day link to the right for photos from the parade.